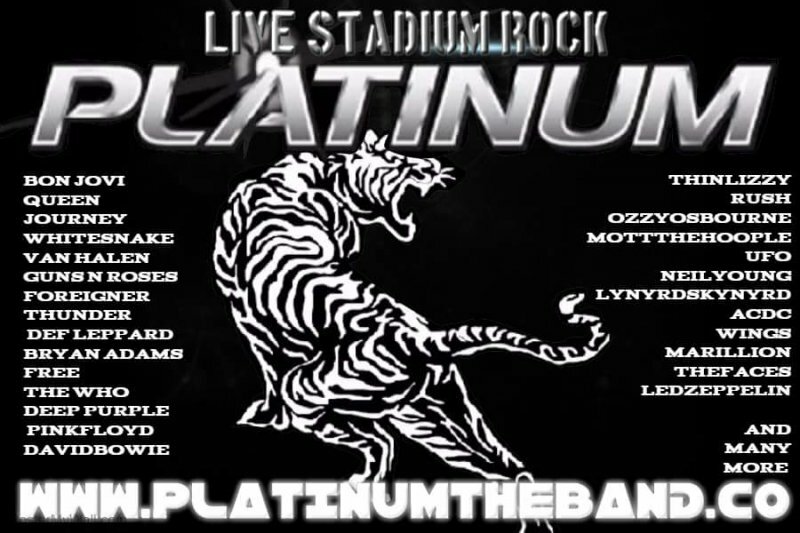 A 5 piece 100% live stadium rock band. Playing covers from Bon Jovi whitesnake guns n roses deep purple the who u2 muse pink Floyd ufo and many more. Have you seen Platinum perform? Has Platinum performed at your venue? Then why not leave them a review?